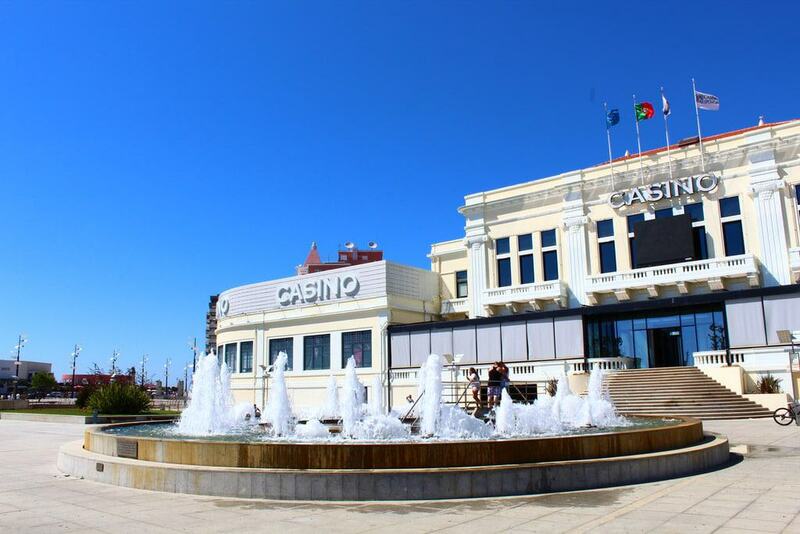 Half an hour north of Porto, Póvoa de Varzim is a coastal resort that first attracted tourists in the 1800s. In the 19th century it was a place where two worlds collided: Fishermen eked out a dangerous living in typical Poveiro sailboats, while the upper crust flocked to the town to bathe on its beaches, feted for their curative seaweed. 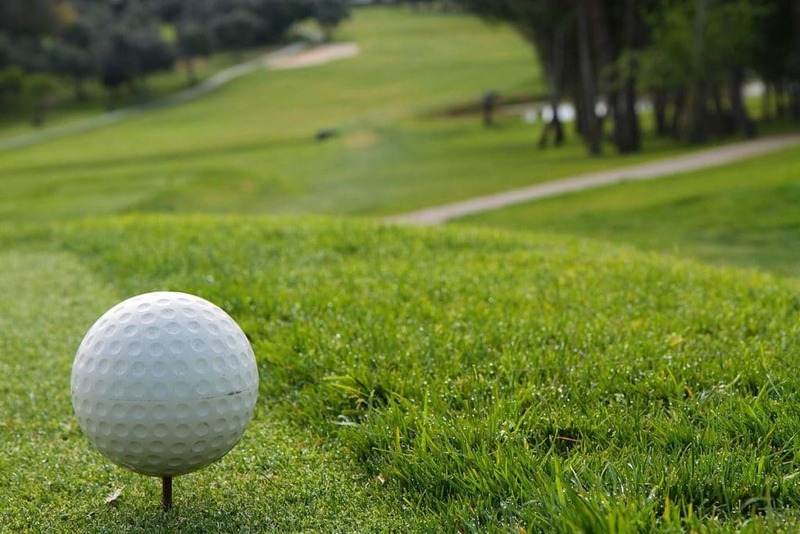 You can immerse yourself in resort life, tucking into seafood, unwinding on soft sandy beaches, trying your luck at the casino or teeing off at the local links golf course. But Póvoa’s old ways are also remembered, on a beautiful tile panel next to the fishing harbour and at the local museum, which has kept Póvoa’s traditional vessels. 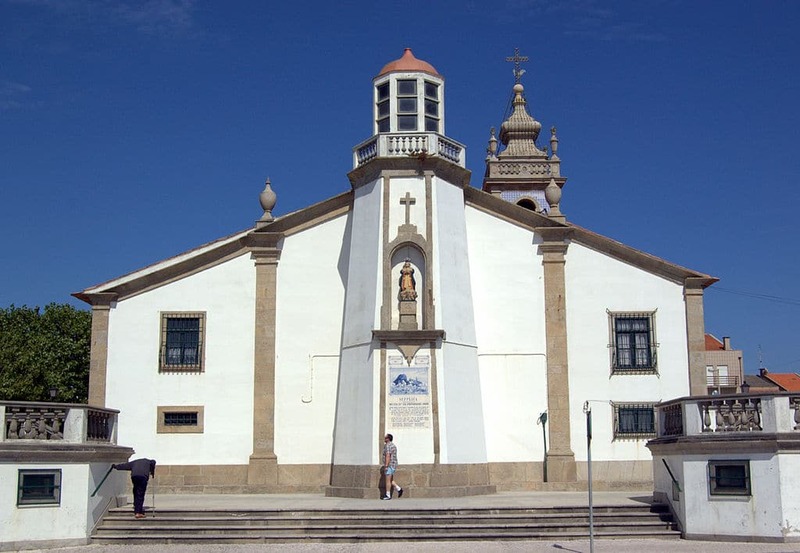 There has been a monastic church where São Pedro de Rates stands since the 800s, and the current Romanesque architecture is from the 1000s and 1100s. 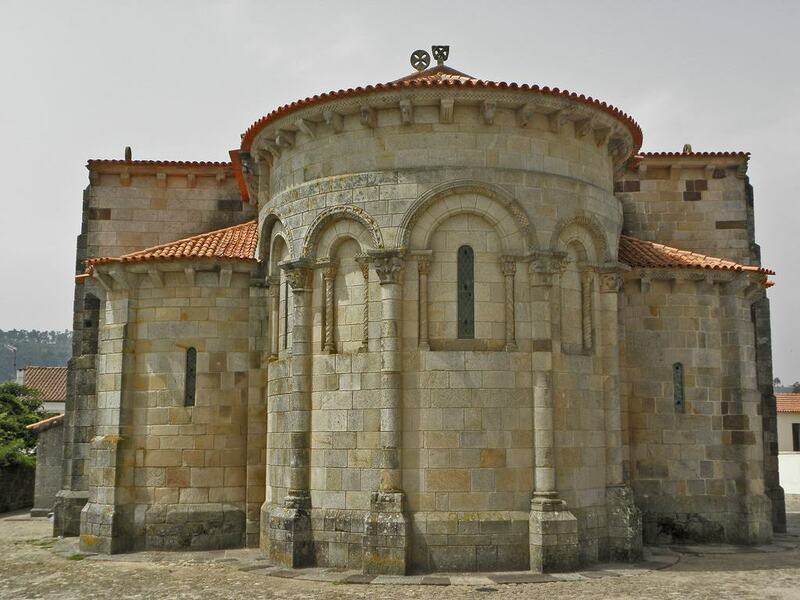 This puts it among the oldest unaltered Romanesque churches in Portugal. All the telltale signs of the era are here: On the archivolt and tympanum in the main portal there are faded but identifiable carvings of Jesus and saints. The carving inside is better preserved, and shows up on the column capitals in the nave, apse and transept, but also decorates several arches inside with images of humans, beasts or simply geometric patterns. Moments inland is one of the most complete castros (Bronze Age settlements) in Northern Portugal. It’s staggering how much of this 12-hectare site is still here, even though it was abandoned around two millennia. The earliest remnants date back almost 3,000 years: There’s an acropolis surrounded by three layers of defensive walls and containing dozens of circular dwellings. Maybe the coolest thing is that the streets between the houses are still paved, a vestige from Roman times. In places narrow channels have been cut into the stone for sewage or to channel rainwater. On the breakwater that divides the sandy beach from the fishing port is a tile panel created by the artist Fernando Gonçalves in 2004. There’s a lot of affection for this little sight, and at night it is illuminated from below. 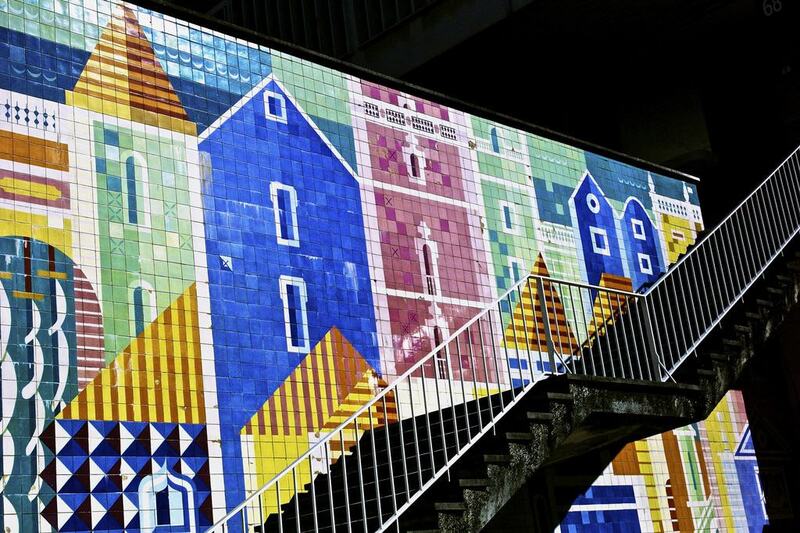 The panels depict scenes from various stages in the city’s history, with images of Póvoa de Varzim’s old trams, tourist waterfront in the 19th century and the many traditions (dress, “Poveiro” boats, waterfront fish market) that have mostly been consigned to the past. There are also panels portraying some of the city’s famous figures, from military leaders and politicians to musicians. If you’re inspired by those images of seafaring and fishing in days past there’s a museum about traditional life in Póvoa de Varzim. This is in the Solar dos Carneiros, an elegant mansion from the second half of the 18th century, with its own chapel that has been saved and is part of the visit. Being in a noble family’s house (the Count of Azevedo) you can see how the other half lived in the 19th and early 20th century. 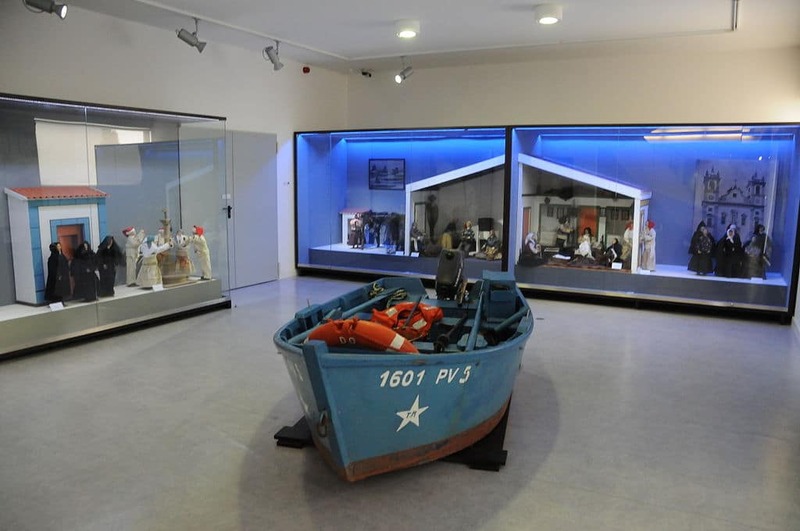 But there’s plenty about the daily perils Póvoa’s maritime community faced (one storm in 1892 killed 105 fishermen) and you can inspect a couple of genuine Poveiro boats. These are complemented by some fascinating artefacts that go back through the medieval period to Roman times and the Castro culture that preceded it. This is the beach where the upper crust came to bathe in the 19th century. It’s a long and wide strip of white sand that draws the crowds in summer. Parallel to the beach is Avenida dos Banhos, so amenities are never a problem here. The beach is mostly free of rocks, apart from the northern part where there’s a bar complex. 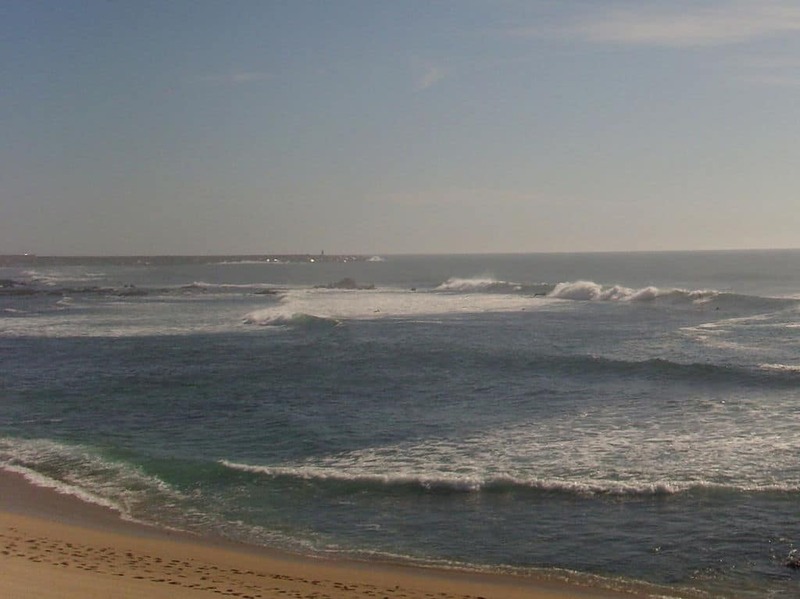 Bodyboarders love the Praia da Salgueira, and on the right days the conditions are good for surfing too, normally at high tide. Many of Póvoa de Varzim’s big sights are on this one square in the centre of the city, where the bourgeoisie lived in the 19th century. Start with the arcaded town hall from 1791, designed in the Neoclassical style by the French military architect Reinaldo Oudinot. The Pelourinho is a Póvoa de Varzim’s town pillory, sculpted in the Manueline style in the 1500s. 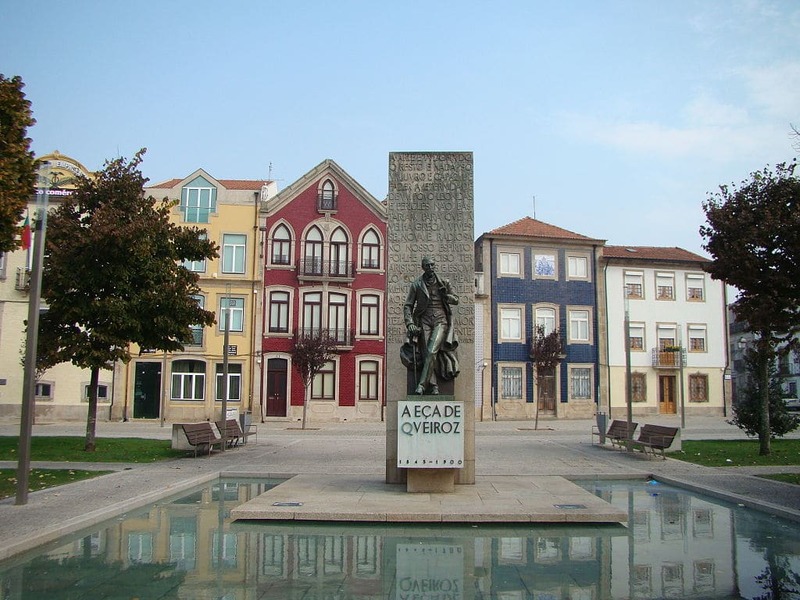 The painted houses on the east end of the square are very pretty and provide a lovely backdrop to the statue for the writer José Maria de Eça de Queirós, a giant of 19th-century Portuguese literature. He was born at the square, just a few paces from this monument. No self-respecting spa resort would be without an old-time casino. Póvoa de Varzim’s is from the early 1930s, and built in the Beaux-Arts style with cues from Charles Garnier’s monuments in Paris. Naturally you can play baccarat, roulette and blackjack, and pick from hundreds of slot machines. But the gaming facilities are supported by a posh restaurant, theatre and no fewer than five bars. See if you can get a table at the restaurant as the walls are covered with Portuguese modern art by the likes of Rogério Ribeiro and Graça Morais. There has been a fortification here since the 1400s, but Póvoa’s current fortress is from the first decades of the 18th century. This was during the reigns of Peter II and John V, when it was given a pentagonal plan and bolstered to help defend the town’s fishing interests from pirates. The fortress has just been restored, and now has a cafe and restaurant. You can come in to see the chapel from 1743 and get a complete view of the fishing port. Check out the bartizans on the corners of the walls, and, above the main entrance, the coat of arms of Diogo de Sousa, the governor who oversaw the construction. Running behind Póvoa’s beaches for almost a kilometre, the Avenida dos Banhos is an oceanfront road and esplanade that was plotted in the 19th century. 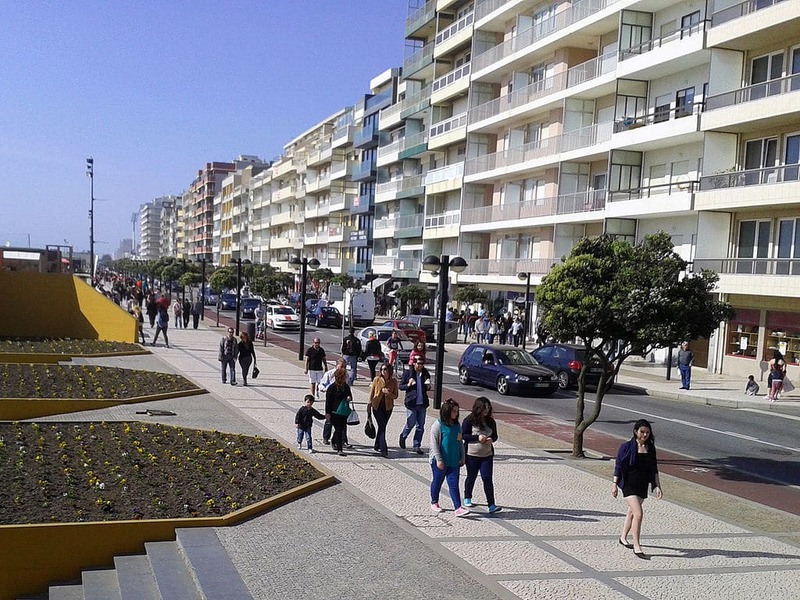 The plan was for this to be Portugal’s answer to the princely beachfront walks at Nice or Oostende. For many years the city’s trams passed along this road and amid the apartment towers from the 60s and 70s there are small hints of earlier times at the Café Guarda-Sol, Portugal’s oldest beach bar, and the Diana-Bar. 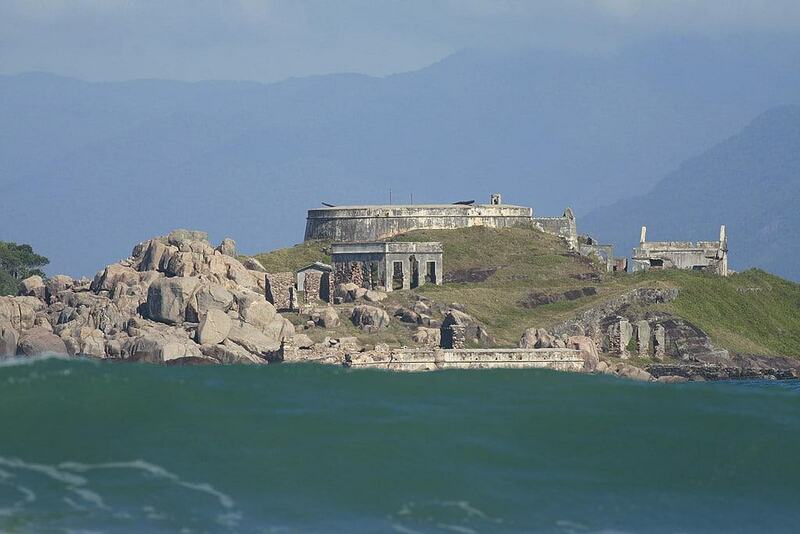 The latter is an Art Deco pavilion on the beach was once a cafe and is now a public library. There’s a bikeway next to the road that runs along the coast all the way down to the Ave River at Vila do Conde, several kilometres to the south. If you’ve seen the glitzier sights like the casino, Avenida dos Banhos and Praça do Almada you could browse the humbler fishing quarter behind the marina. By the low-rise houses and quiet residential squares is this peculiar monument, with a lighthouse beacon above the back facade of a church. There has been some sort of light here since the 1500s, while the church is from the 1770s. The lighthouse was eventually deactivated in the 1960s, before being renovated and reopened as a tourist sight in the last couple of years. Under the lantern is a tile panel commemorating the 1892 fishing boat disaster. A short way up the coast is a genuine links course: At Estela Golf Club are all the ocean views, the steep, rolling fairways and giant greens that people associate with the fabled courses in Ireland and Scotland. But there’s much more sunshine at Estela, and the ocean squalls won’t numb your hands. The 18-hole par 72 course hugs the coast, running in a narrow line for three kilometres, so you’ll always have views of the Atlantic. Those ocean breezes pose a challenge that you won’t have to deal with at the more sheltered courses in the Algarve. Salgueira is just one of a string of bays either directly on Póvoa’s oceanfront or up the coast where things are a lot quieter. The closest to the urban centre of the city are Redonda and Carvalhido. The latter is easily identified by its belvedere, a raised walkway above a precinct of bars and restaurants where you can survey the Atlantic. 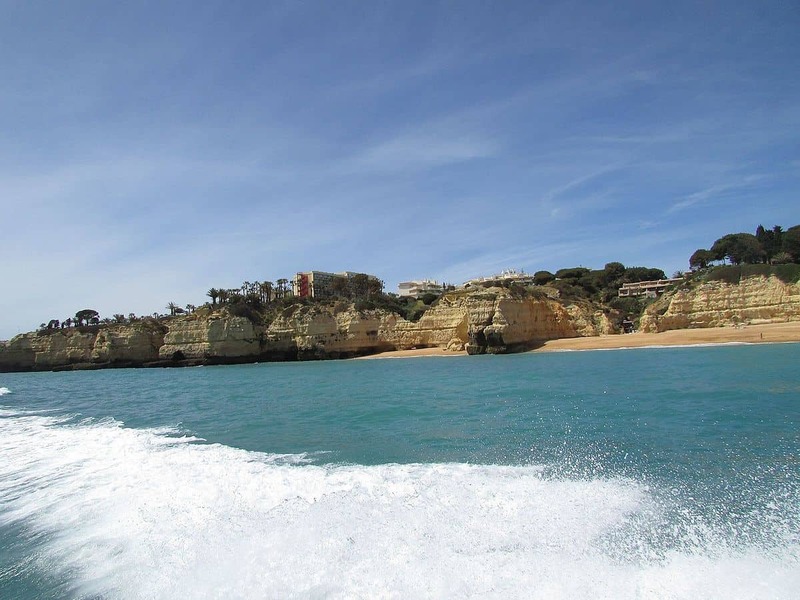 Further up, the beaches continue for several kilometres, counting Praia Verde, Praia da Lagoa-II, Praia da Fragosa and Praia do Esteiro. All have that enticing blend of wide soft sands and lively surf, while behind the townscape grows ever sparser. 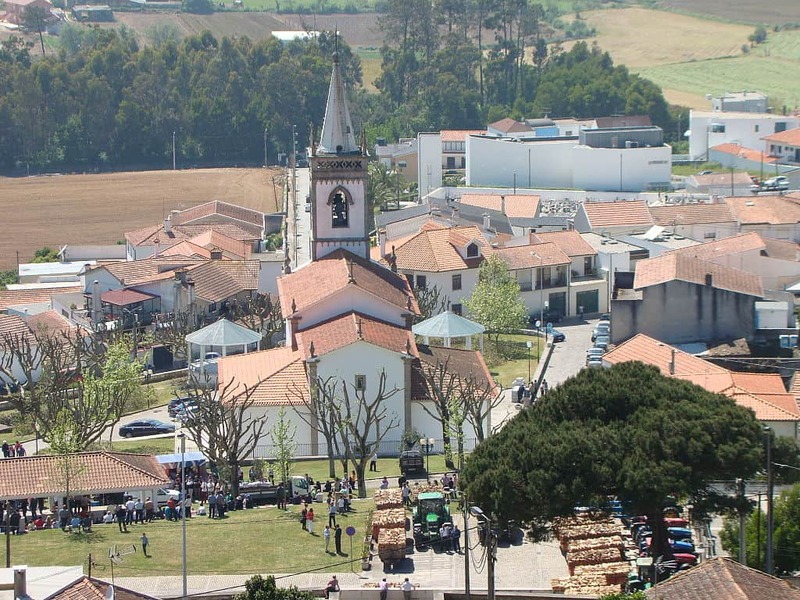 In the countryside inland from Póvoa de Varzim it will be hard to miss this enormous 17th and 18th-century structure. 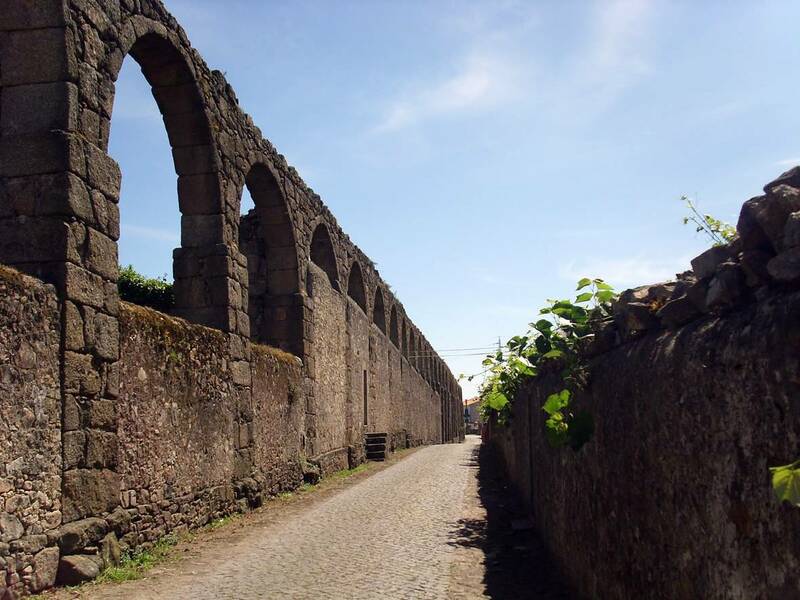 It is the second-largest aqueduct in the country and was built to transport spring water from Terroso down to the Convent of Santa Clara in Vila do Conde, four kilometres to the south, solving a long-standing water supply problem. When it was in service it had 999 granite arches, and the first waters trickled through in 1714. These days it serves a purely monumental purpose, and you can track its course into the old shipbuilding city of Vila do Conde. The Serra de Rates is a chain of hills rising suddenly from Póvoa’s coastal plain. The tallest of these is the Monte de São Félix at just over 200 metres. 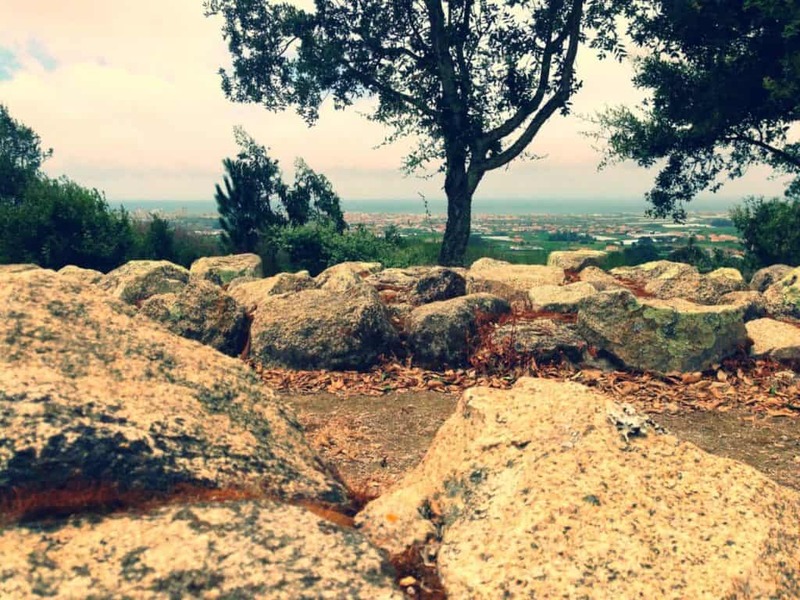 As is often the way in Portugal, this hill has a religious sanctuary at its crest, making it much easier to conquer as there’s a monumental stairway that starts at the foot. This cuts a long swathe through the hill’s pine forest and delivers you to a terrace in front of the Capela de São Félix with invigorating views of the coast. Spend a little time exploring up here, as there are old windmills and the pre-Roman ruins of the Castro de Laundos, an outlying community for the Cividade de Terroso. The signature local dish is the one that bears the city’s name: Pescada à Poveira is usually made with hake and comes with potatoes, eggs, onions and seasoned with vinegar and sweet paprika. It’s no shock, given Póvoa de Varzim fishing legacy, that nearly all the traditional meals are sourced from the ocean. Arroz de marisco is rice simmered with shellfish, while sardines are the main ingredient in arroz de sardinhas. 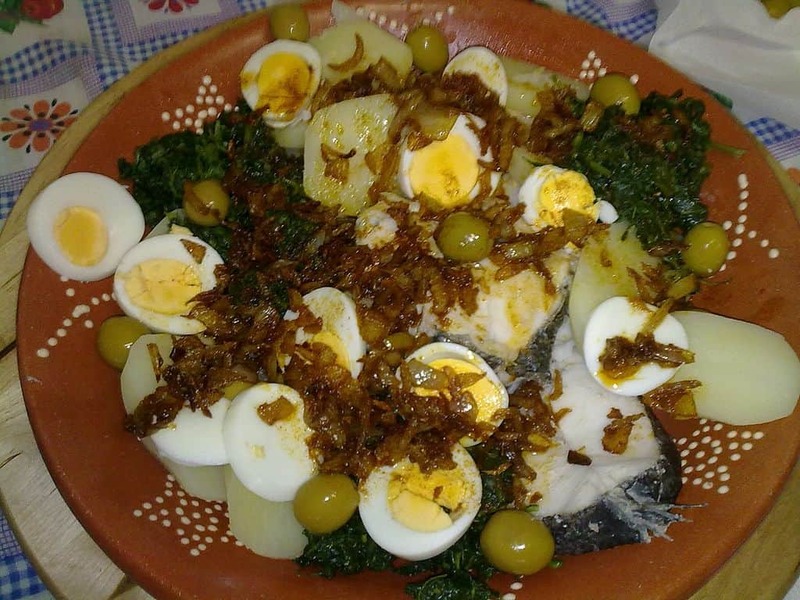 Caldeirada de peixe is a stew with a whole medley of oily fish, whitefish and seafood, while lulas recheadas are squid stuffed with potato and eggs. A fitting accompaniment to all this fish and seafood is crisp and refreshing vinho verde from the Minho valley.